Premier League newcomers Norwich City have signed goalkeeper Jake Kean on a two-year contract following his release from Blackburn Rovers. 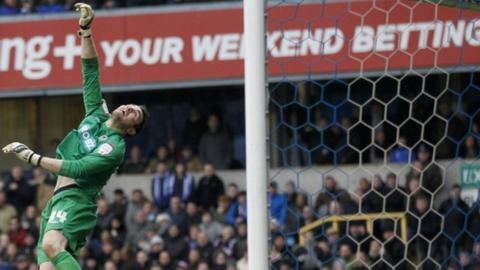 Kean, 24, will provide competition for first-choice keeper John Ruddy and second-choice Declan Rudd. "We needed to make sure we had cover for the goalkeeping position and wanted to bring in someone who could push Declan," said Norwich boss Alex Neil. Kean made 44 appearances in all competitions for Blackburn. The Canaries, promoted from the Championship via the play-offs, entertain Crystal Palace at Carrow Road on 8 August in their first match back in the Premier League.